Watching the tragic news stories on television night-after-night of refugees in the Mediterranean trying to reach the shores of Greece, Malta and Italy, and thinking about the present crises in Greece, especially on the islands of Lesbos, Chios and Samos, my mind returns time and again to one of the classic songs of Greek remetiko (ρεμπέτικο) inspired by another refugee crisis in the Mediterranean and on the shores of Greece in 1922, and another political crisis in Greece in the 1960s and 1970s. The lyrics and music of Zebekiko (Ζειμπεκικο), or With airplanes and ships (Μ’ αεροπλάνα και βαπόρια), were written in 1972 by the composer and songwriter Dionysis Savopoulos (Διονύσης Σαββόπουλος) in collaboration with the “Queen of Greek folk music,” Sotiria Bellou (Σωτηρία Μπέλλου), and they recorded it as a duet in two versions in the 1970s. Dionysis Savopoulos, who was born in Thessaloniki in 1944, is an important songwriter, singer and composer who is often regarded as the Greek equivalent of Bob Dylan. He has a strong reputation on the Left, and one of the composers who challenged the colonels’ regime. With his debut album Fortigo (Φορτηγό, 1964), he paved the way for Greek music out of the bouzouki mould. Since then his albums mixed influences from Manolis Hadjidakis and Vassilis Tsitsanis with those of Bob Dylan, Greek and Balkan folk with jazz, rock and Italian music. More recently, he covered songs by Van Morrison, Lou Reed and Nick Cave. In 1972, he released the first version of his song Zeibekiko, which many still regard as his finest song. This is the song of the outcasts and who are torn from their land, who have their freedom, their spirit and their love suppressed by the oppressors. In these lyrics, the refugees from Smyrna in 1922 become a metaphor for the people of Greece living in a wilderness fifty years later in 1972, finding shelter in the underground, metaphorically and physically. There they shout with a loud voice their distress and grievance … but as the spirit of humanity rises up with a “tremendous voice” perhaps a wise figure will emerge, gifted with an understanding that truth lies deep beneath the surface, a figure who stands up for what he believes in so that the refugees and the outcasts are freed from the underground in body and soul. The song, performed by two voices, was recorded in two versions by Savopoulos and Sotiria, in 1972 and 1975. In the first version, he sang both voices, and in the second version she sang first and he sang part of the second part. The first voice is what the speaker says and the second is what the speaker thinks and feels deep inside. And yet you can’t hear us. (Like a refugee in a secret basement). In a documentary recorded soon after, Savopoulos says that while there may be stress or aggression the voices of other modern singers, none of them has the love that can be felt in Bellou’s voice. He says that while he was proud of composing a Greek folk song, Bellou afterwards told him she was proud of performing so well a modern pop song like his. In the last part of the video documentary, Sotiria’s niece, Areti Bellou, also sings this classic song. With her slick-back hair, dark glasses and simple shirts and skirts, and her deep voice, full of emotion and pride, Sotiria Bellou (1921-1997) made a memorable appearance. She was born into a middle class family, fought against the Nazis and on the left in the Greek Civil War, and became a great rebetissa or singer of rebetika. She was admired by artists, critics and the public, but she was never honoured by the establishment until after her death, when she was acknowledged as one of the most original voices of rebetika. She was given a state funeral and honoured with a Greek postage stamp in 2010. She was born in 1921 in Halia (present-day Drosia) in Chalkida, on the island of Euboia. When she was a child, her father took her to see the movie The Refugee, starring Sofia Vembo (Σοφία Βέμπο), and it transformed her childhood ambitions and life plans. She married against her parents’ wishes when she was 17, but her husband was unfaithful and a violent drinker, and the marriage proved a disaster. When she responded to his violence in kind, and was jailed for three years, although she only served four months of the sentence. She moved to Athens on 28 October 1940, the day before the war between Greece and Italy began – the day that is marked to this day in Greece with pride and resilience as Ohi Day, Επέτειος του «'Οχι». After working for a while as a street hawker selling pasteli, a housemaid, a luggage porter and a waitress in rebetiko nightclubs, she joined the Greek resistance. When she was captured by the Germans, she was tortured and imprisoned. Later she fought on the Left, first on the streets of Athens in December 1944, and then in the Civil War from 1946. Once again, she was arrested again and imprisoned once more. Throughout all this time, she sang the songs of Sofia Vembo in small tavernas in Athens. When Vasillis Tsitsanis heard her for the first time in 1945, he was so excited that he immediately wrote a song for her. She and Tsitsanis went on stage together in 1947. She became a rebetissa and went on to work with leading names such as Markos Vamvakaris – who is referred to in this song – Yannis Papaioannou, Giorgos Mitsakis and others. 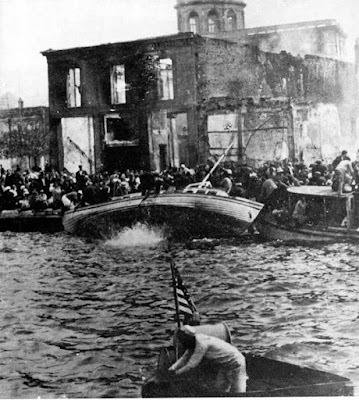 One night in 1948, while she was working at “Fat Jimmy’s” nightclub with Tsitsanis and others, she was attacked on stage and beaten up by a group of far-right Chites (Χίτες) thugs. When public interest in rebetika faded in the 1950s, she struggled to make a living. But rembetika regained popularity in the 1960s and in 1966 she was “rediscovered” by Alekos Patsifas, director of the Lyra, who offered her a new contract, and she began working with musicians like Savopoulos, Andriopoulos and Lagios. She sang for the last time at a concert in the Pallas Theatre in 1994. In her closing years, she was penniless and she lost her voice during an operation. She died on 27 August 1997, and was buried with a state funeral in the First Cemetery of Athens next to Vassilis Tsitsanis. The Government has been urged to take a lead role in an international campaign to ban nuclear weapons. 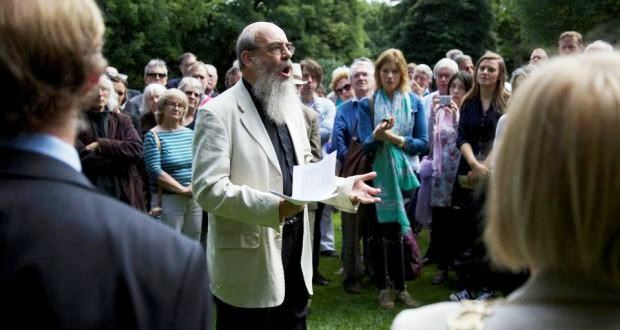 Speaking at a memorial for the victims of the atomic bombings of Hiroshima and Nagasaki in Dublin’s Merrion Square, Rev Patrick Comerford of the Irish Campaign for Nuclear Disarmament said “a moral stance by Ireland can be effective” in bringing about change. He pointed to the Naval Service helping migrants in the Mediterranean as an example, saying actions can “save lives and can challenge the unwillingness of others to act”. The memorial this year marked the 70th anniversary of the nuclear attacks on Japan on August 6th, 1945, which killed an estimated 140,000 people. The ceremony, held by Irish CND, was attended by Críona Ní Dhálaigh, Lord Mayor of Dublin, and Naoki Yoshimura, first secretary of the Japanese embassy in Ireland. Rev Comerford told those in attendance the “devastating effects of nuclear weapons on Hiroshima and Nagasaki seven decades ago provide a clear rationale for negotiating a ban”. Mr Yoshimura echoed the call for nuclear disarmament on behalf of the Japanese government. Ms Ní Dhálaigh told the crowd of some 80 people that Irish citizens “need to consistently keep pressure on our world leaders to pursue nuclear disarmament”. The ceremony also featured performances by Irish and Japanese musicians, and a reading by the poet Hugh McFadden. The event concluded with the Lord Mayor laying a wreath at the base of a memorial cherry tree planted by the Irish CND in 1980, followed by a minute of silence observed by those in attendance. Representatives from the embassies of Austria, Egypt, South Africa, Norway, Russia and Mexico also attended, with apologies received from US ambassador to Ireland Kevin O’Malley.